Okay, so this is a completely shameless move on my part. Here I am, over a month since my last post, and I come tripping back onto the scene with this. And what, exactly, is this? you might ask. This, my friends, is Risotto Carbonara. 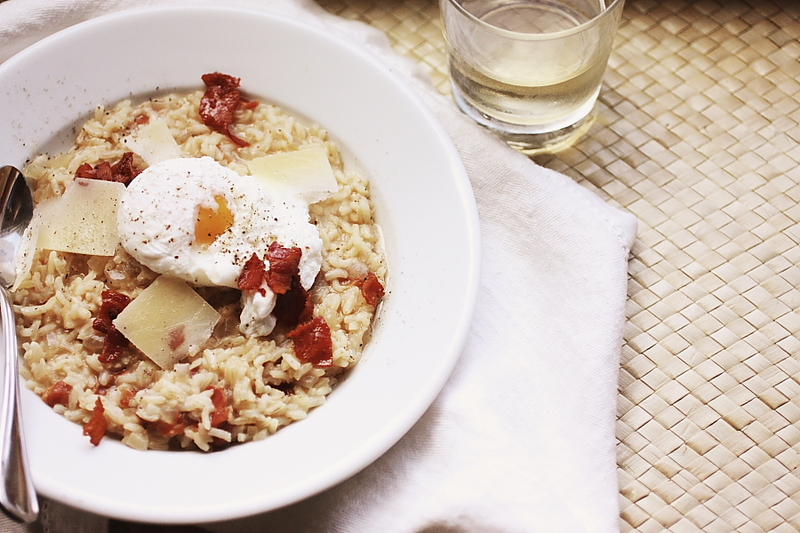 Risotto all dressed up with bacon and eggs. Or, dressed down, as the case may be. It’s my favorite pasta dish in creamy short-grained rice form. Only this time, it’s not masquerading as “healthy” because I added some kale or courgettes to pump up the nutritional value. Nope – this is down and dirty deliciousness. an Italian brown risotto rice. Like all risotto rice varieties, slow cooking integrale rice on the stove top with multiple infusions of stock causes it to absorb the stock’s flavor and release starch into the pan, thickening the remaining stock into an incredibly delicious sauce. However, because the outer bran is left on, the finished risotto has a nuttier brown rice flavor, distinct grains, and a little more chew to its finished texture. 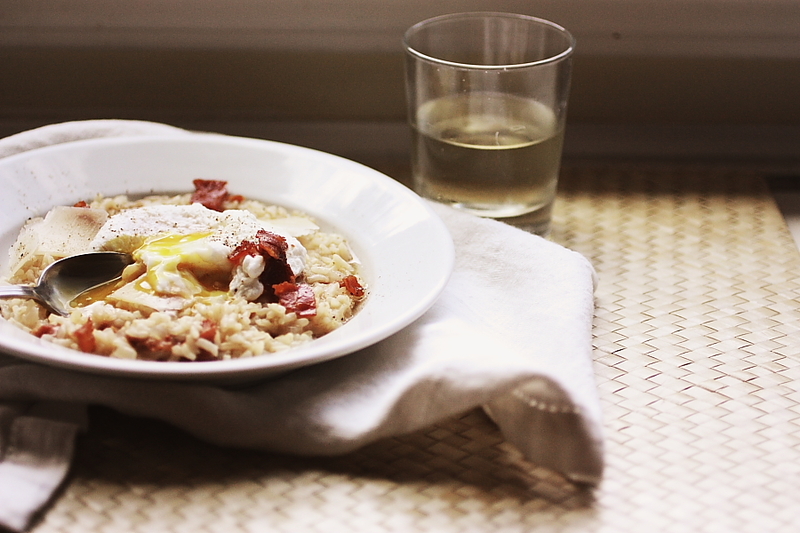 The bran also includes additional nutrients not found in white risotto rice. 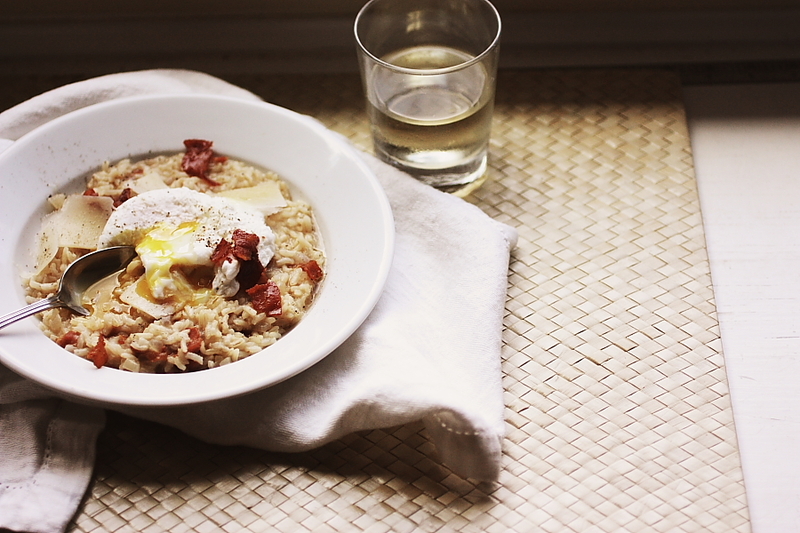 Since I’ve done brown rice risotto before, I knew this challenge was right up my alley. 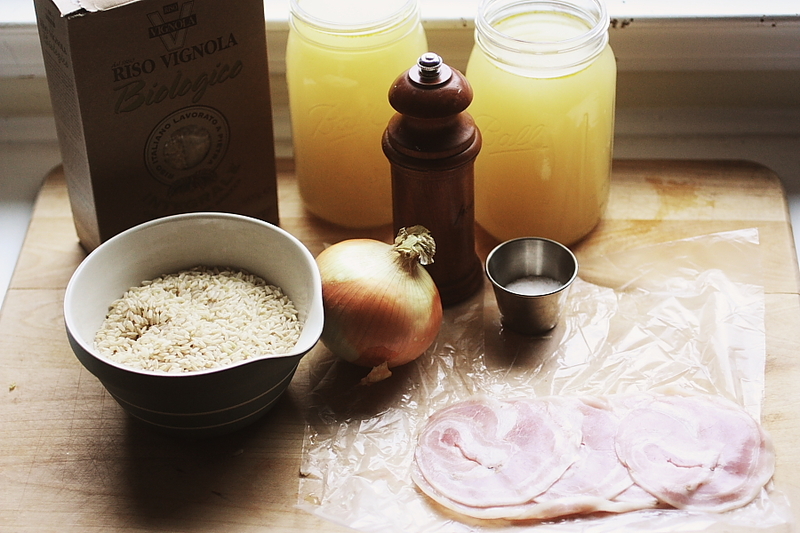 The first round of the challenge asks 15 participants to develop a savory risotto recipe featuring the Integrale rice. I knew I wanted something that would showcase the creamy, starchy consistency of the finished product, but that would also allow the toasty, nutty flavor profile of the whole-grain rice to shine. I settled on a carbonara preparation for a few reasons. First – bacon. I mean, who doesn’t love bacon? For this I chose an Italian-style pancetta. I usually like to use an American-style bacon when I make carbonara because I like the smokiness it imparts. Pancetta is traditionally not smoked, so it has a milder flavor profile. I didn’t want the rice to be overpowered by the bacon, but rather complemented by it. Second – Parmigiano Reggiano. 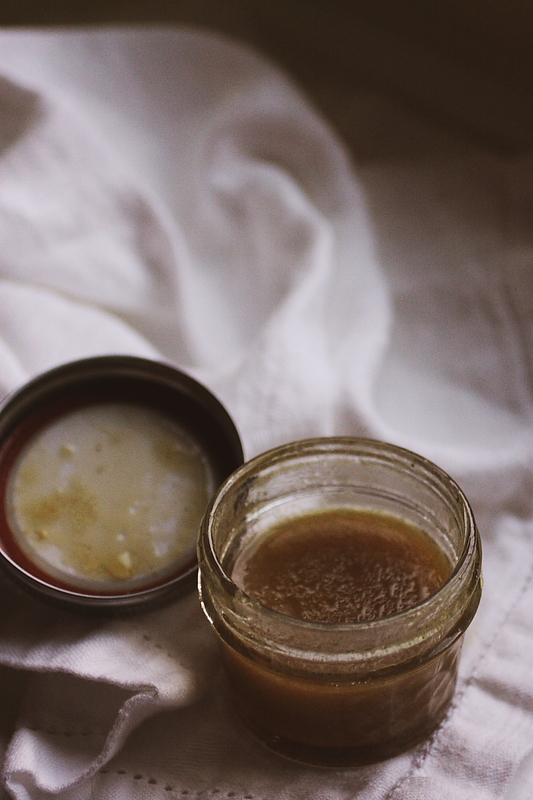 Nutty, salty, umami goodness. Seemed like a perfect accompaniment to the nutty nature of this rice. 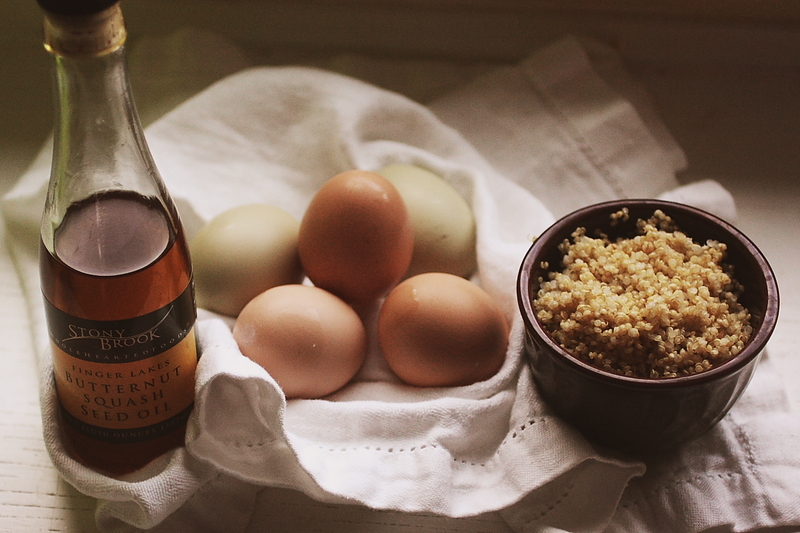 Third – egg yolks. In a traditional pasta carbonara, raw eggs are stirred into hot pasta along with Parmigiano Reggiano to create a rich, creamy sauce. For the risotto, I opted to top the finished product with a barely-poached egg so that the golden yolk could mix in with the creamy rice right at the very end. The end result was nothing short of delightful. Salty, creamy, nutty, slightly acidic (thanks to the addition of a dry white wine during the cooking of the risotto) – a perfectly balanced mix of flavors and textures. The rice maintained its integrity throughout the cooking process, and was left slightly al dente, while still releasing its starches to create a creamy sauce that enrobed each grain. Before I give you the recipe, let’s just discuss the details of this challenge. Starting tomorrow (May 30), you can vote for your favorite Integrale recipe over on the Marx Foods website. I think there are 15 of us, and I would sure appreciate your vote. 10 bloggers will proceed to the next round, which should be fun because it’s all about dessert risotto (and I’ve already got some good ideas up my sleeve for that one – it would really be a shame if I couldn’t share them). So, you know, if you feel like it, head on over there and vote tomorrow. Add the diced pancetta and cook slowly, allowing the fat to render out before the meat gets too brown. Add the rice to the pan with the onion and fat from the pancetta. Sautee the rice in the fat, stirring it around to coat all of the grains. Cook until grains have become to look opaque in spots. Add the cup of wine to the pan, stirring the rice until most of the liquid has been absorbed. Begin adding the hot stock a cup at the time, stirring after each addition until most of the liquid has been absorbed. Keep adding stock a cup a the time until the rice is al dente. I used between 6 and 8 cups this time. Turn off the heat and add the grated cheese and all but about a tablespoon of the cooked pancetta (reserve a little for garnish). Taste for seasoning and add salt and pepper as needed. I like a lot of pepper. Spoon the risotto into flat pasta bowls – it should spread to fill the bottom of the bowl, but not have much excess liquid. Top with a very lightly poached egg and garnish with shaved Parmigiano Reggiano and crispy pancetta. Disclaimer: I received a box of Organic Italian Integrale Rice free from Marx Foods as part of my participation in this contest. The preceding opinions are my own and I was not otherwise compensated for this post. I Won This Ravioli. It Rocks. 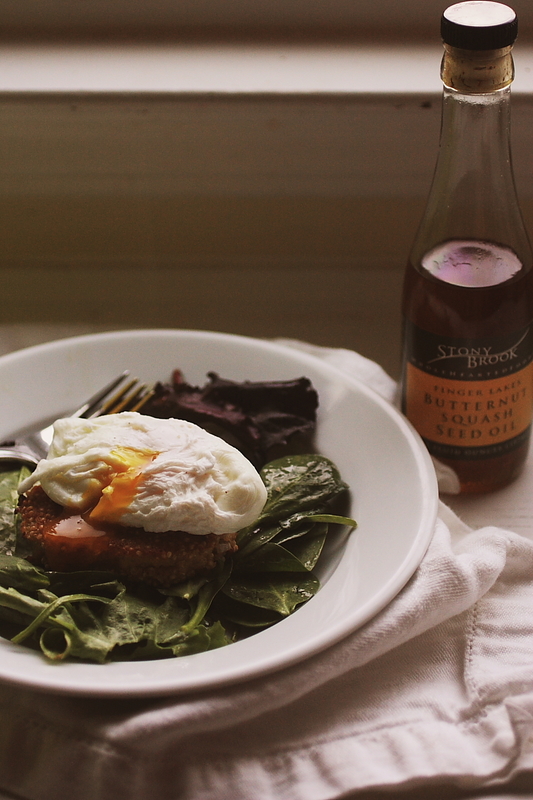 Okay, so remember that review I did a couple of weeks ago of the butternut squash seed oil? Well, if not, here’s a link that will bring it all rushing back with amazing clarity. That particular post was part of a contest that was being sponsored by Marx Foods, and the winner was awarded their choice of six pounds of Pumpkin or Butternut Squash ravioli. Yep – it was I. Little old me. And on Thursday, I was greeted by a friendly delivery man dropping off a large box full of frozen squares of pumpkin-sage deliciousness. Not that I ate them frozen. That would be weird. 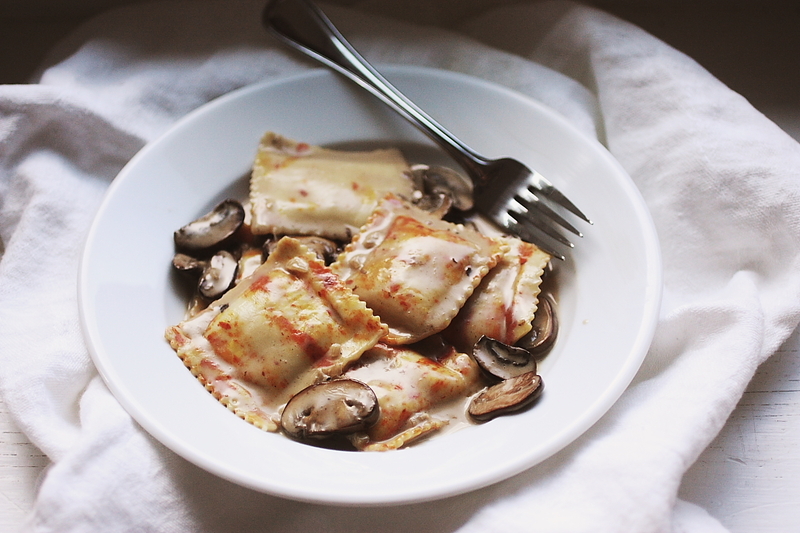 Despite the fact that pumpkin-sage ravioli is really more of an autumnal pasta, I decided to serve it for dinner last night with a mushroom/goat cheese cream sauce. And let me just tell you – it was pretty amazing. I mean, you can’t really go wrong with piquant goat cheese and earthy, deeply browned cremini mushrooms. That combo would be tasty over just about anything. 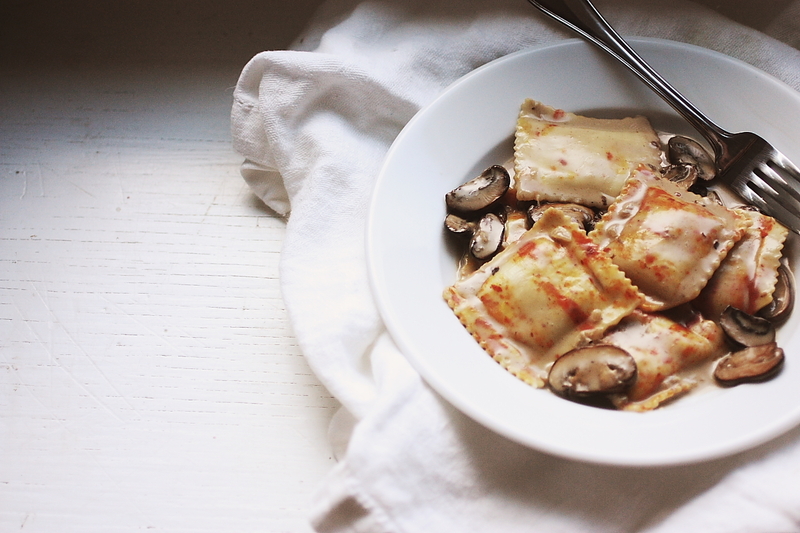 But, when you pair it with this ravioli – this beautiful, colorful pasta, which is slightly sweet and a little nutty, bursting with robust savory richness – it is elevated to a whole new level. This is a marriage of flavors, y’all. 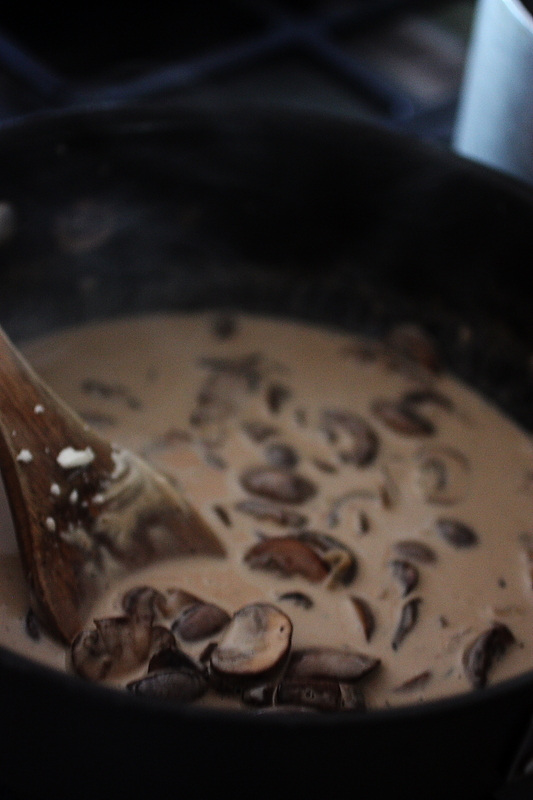 To make the sauce, I browned a pound of sliced cremini mushrooms in about a tablespoon of butter over high, high heat. You want those babies to get brown, brown, brown. I waited to add salt until they had achieved the level of brown-ness I wanted, since salt draws out moisture, which is the enemy of browning. I also added a minced shallot toward the end and just let it soften. Once the mushrooms got good and brown, and the shallots had softened, I reduced the heat to low and added a cup of cream and 4 oz. of goat cheese to the mix. I tasted for seasoning and added a little more salt and some cracked black pepper. Once the goat cheese melted and became incorporated, I added the cooked pasta and it was done. It was about 15 minutes, start to finish (which is just about how much time it took for the water to boil and the pasta to cook). 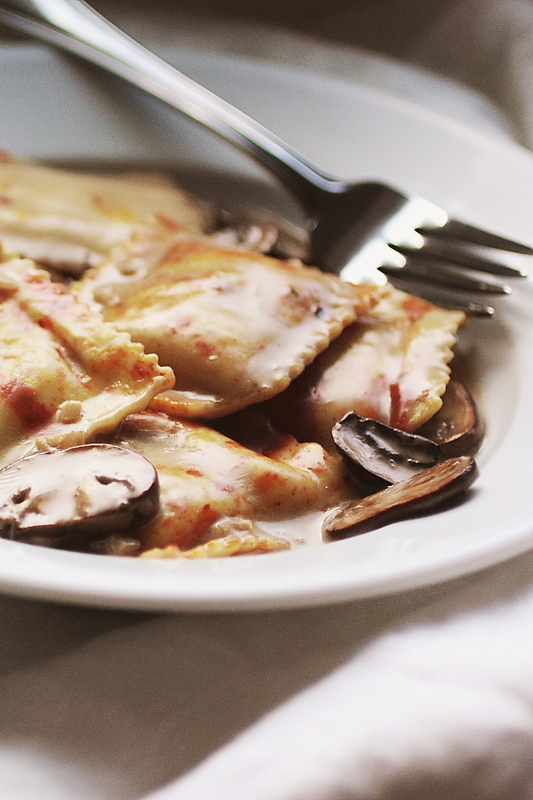 If you have an occasion to taste this ravioli, I encourage you to take advantage of it. I realize that the price on the Marx Foods website seems a little high, but when you consider that it includes overnight shipping and handling, it doesn’t seem so bad. You get about 16 portions, which breaks down to 6 pieces per person (which is more than enough) for an entree portion, but you could easily extend it by serving it as an appetizer and only serving 2 or 3 pieces per person. And my experience with the folks at Marx Foods has been nothing but positive. They’ve been very helpful and quick to respond to my emails. 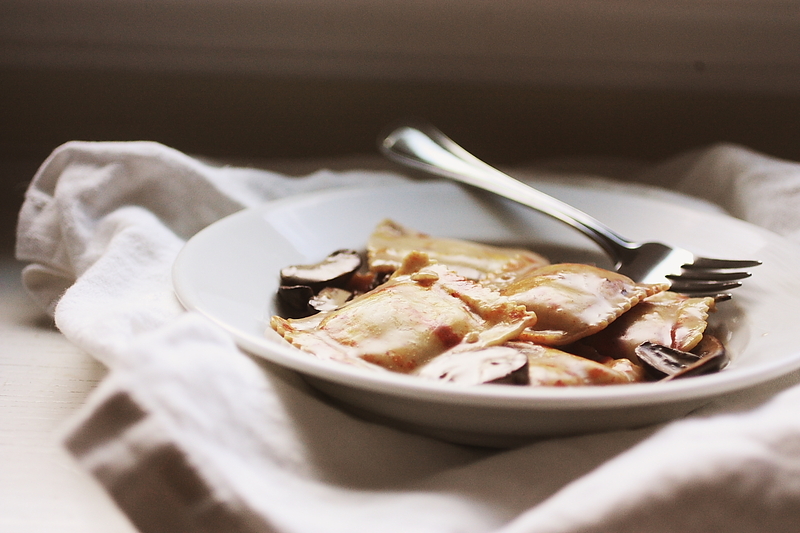 I do recognized that it’s unseasonably warm in most areas of the country, and pumpkin sage ravioli may be the last thing you want to think about right now. However, this was too delicious not to share. 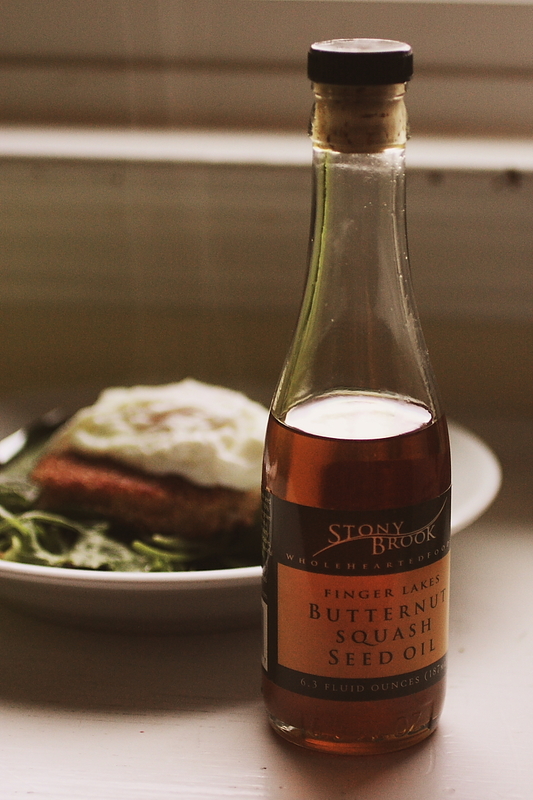 And as I said, this sauce would be tasty over just about anything – on scrambled eggs for breakfast, over papardelle for dinner, on crostini as an appetizer (you might want to reduce the cream for that last one). It’s good stuff. Bring a large pot of liberally salted water to a boil. Add the frozen ravioli and stir immediately to avoid sticking. Cook 4-6 minutes, or until they float. Remove from the water using a strainer or large slotted spoon. Add to the sauce. While the water comes to a boil and the pasta cooks, heat a large, heavy bottomed saute pan over high heat. Add butter and sliced mushrooms. 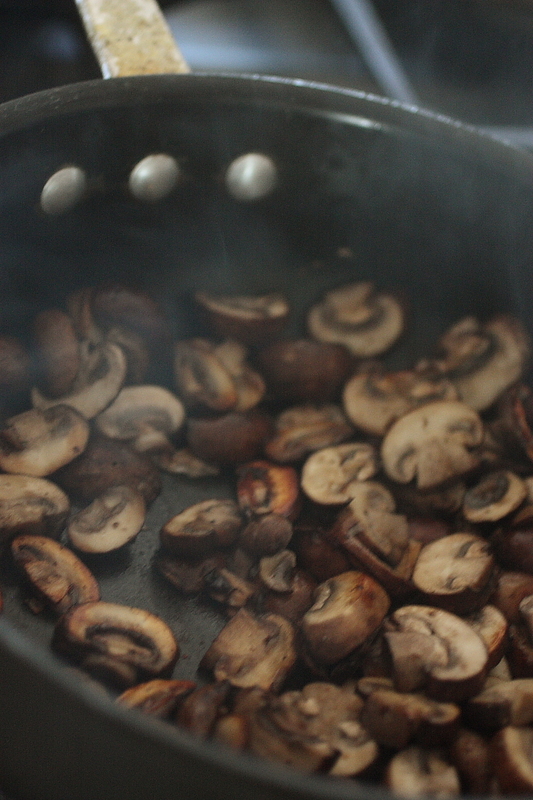 Cook over high heat until mushrooms are browned. Add shallot and cook until softened. Reduce heat to low and add cream and goat cheese. Stir to melt goat cheese. Add cooked pasta and stir to coat. Note: I received this ravioli free from Marx Foods as an award from a contest in which I participated. I was not asked to write a review in return for the product. The opinions in this post are mine.